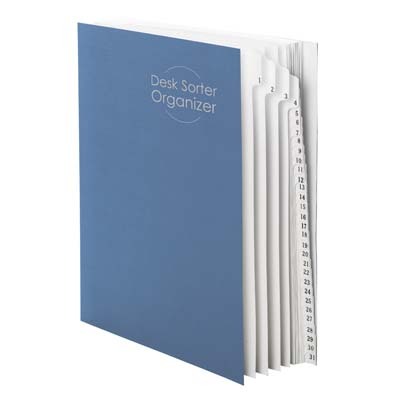 Keep loose paperwork neatly categorized in this attractive desktop file. 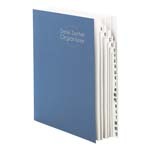 Heavyweight dividers are bound book-style so it's easy to open to the desired section. Use alphabetic, daily or daily plus monthly indexed files to organize papers by the date follow-up action needs to be taken. 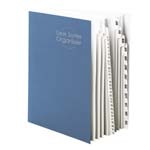 Holes in dividers help to locate papers remaining in file. Each section expands to 1-3/8".